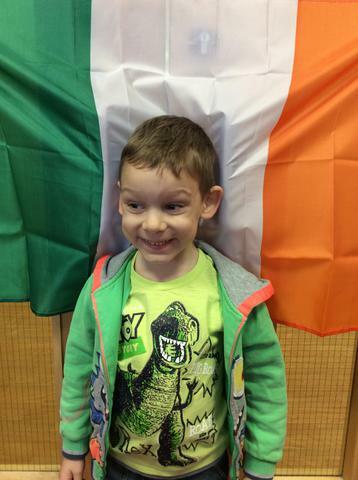 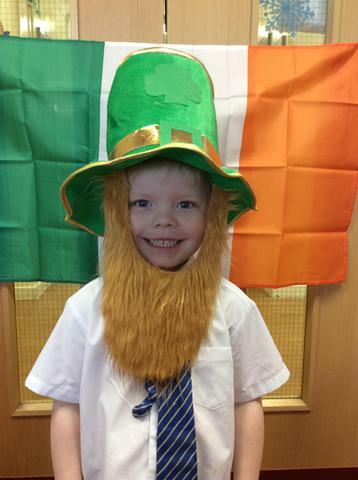 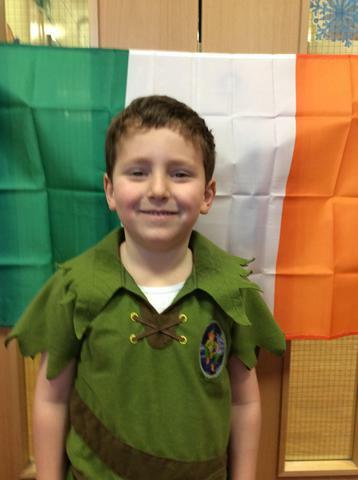 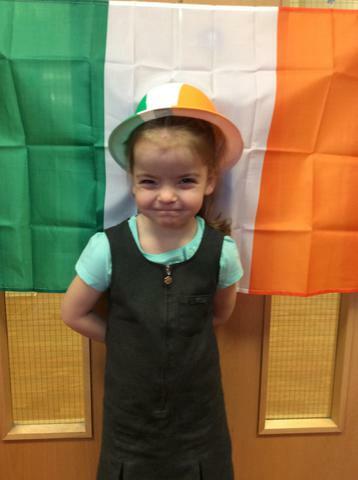 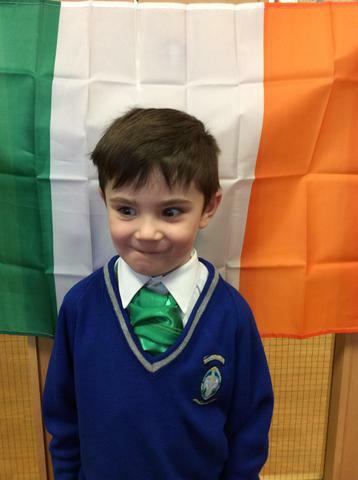 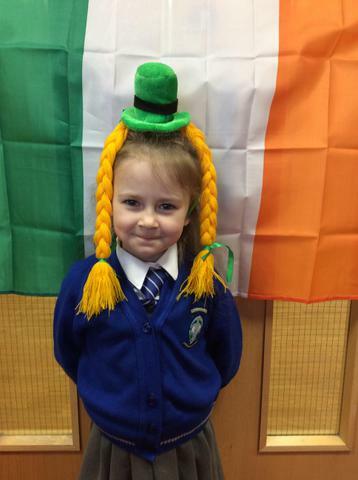 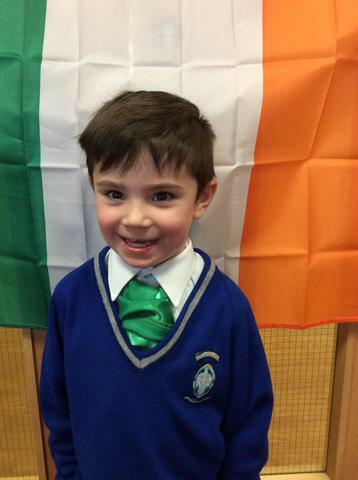 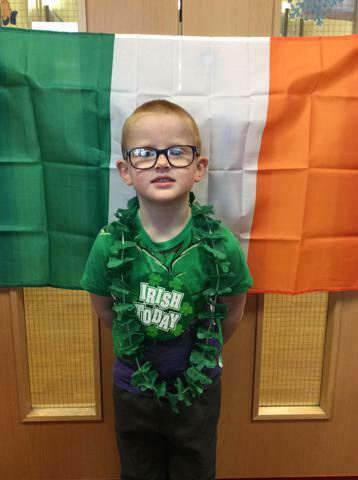 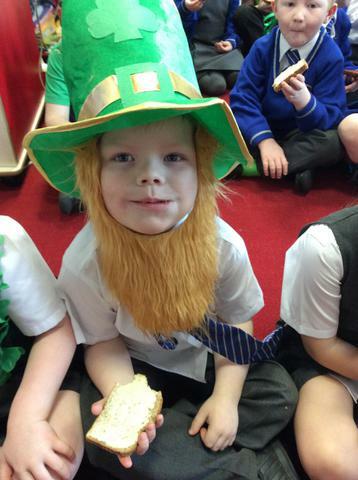 Dublin 1 and 2 had a brilliant time today celebrating St Patrick's Day. 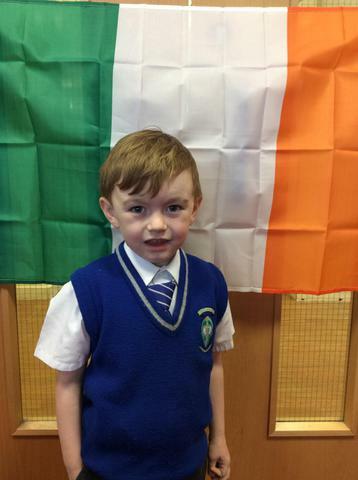 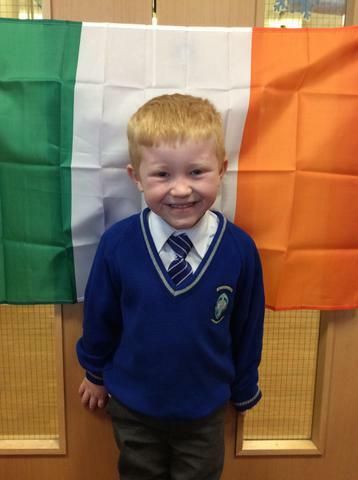 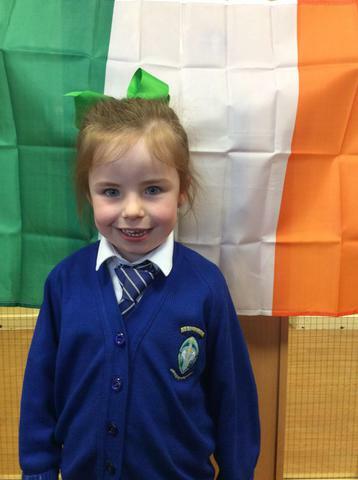 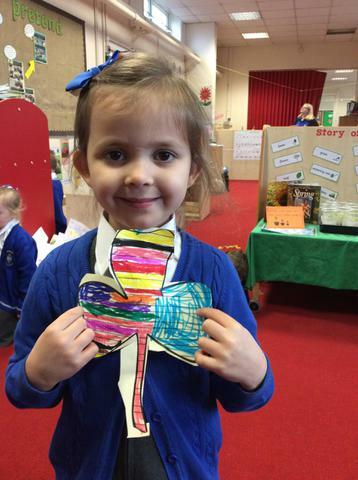 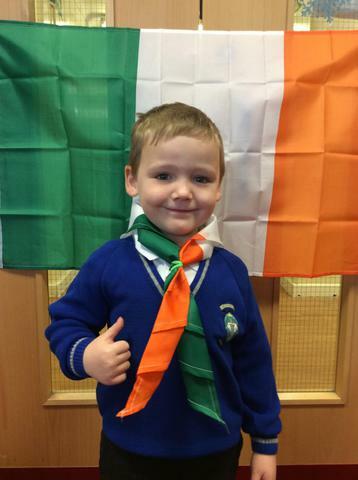 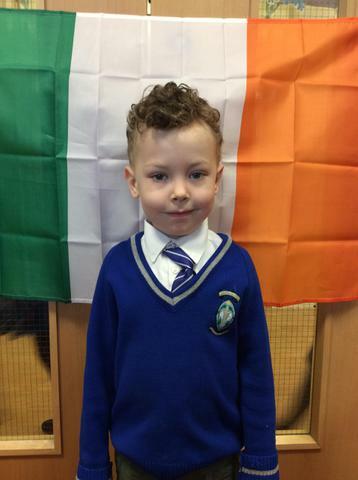 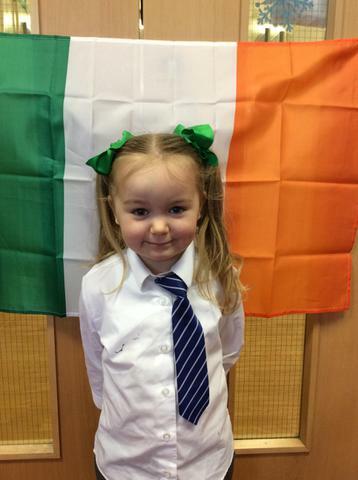 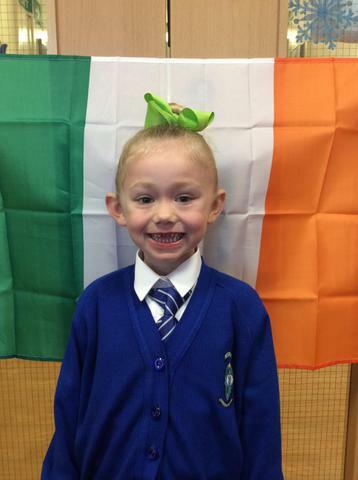 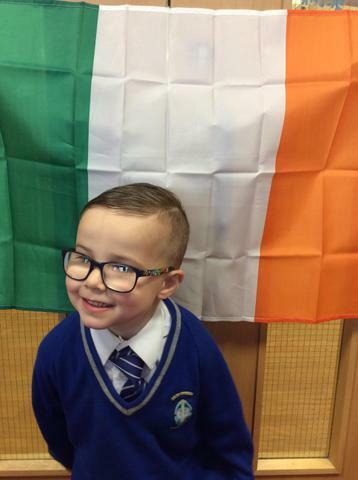 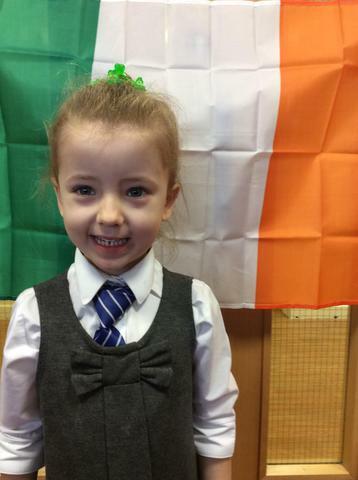 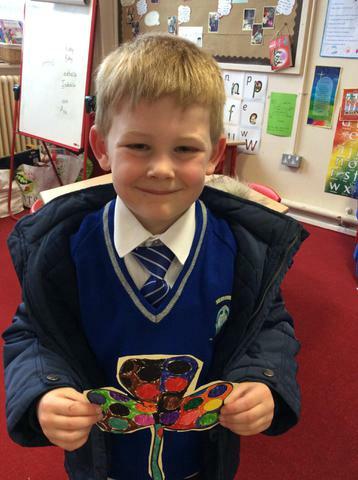 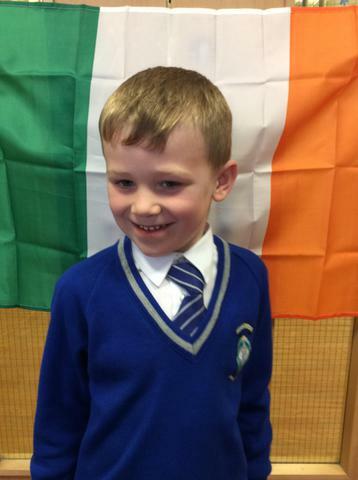 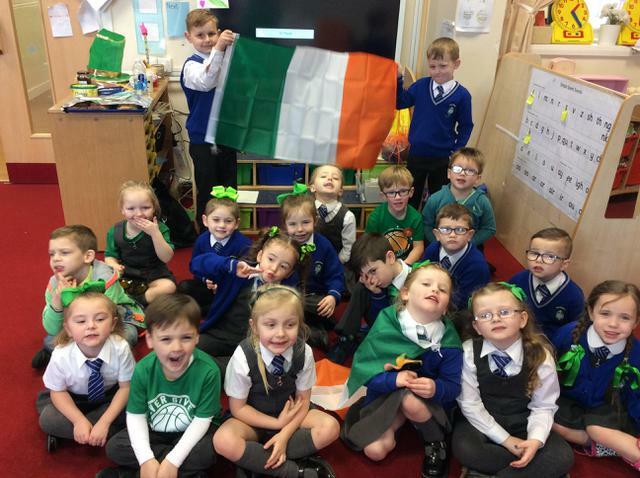 As our classes are called Dublin, we were eager to take part in the celebrations. 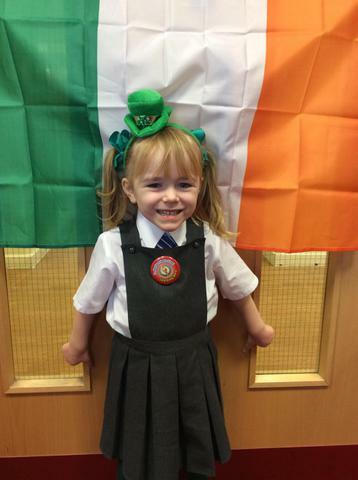 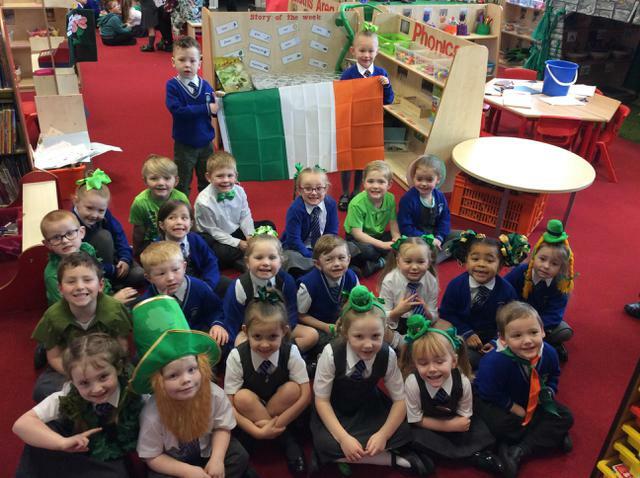 We came to school wearing an item of green clothing/a green accessory and we were greeted at the door by our teachers playing Irish music. 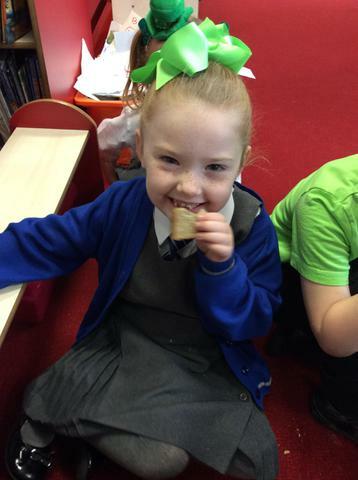 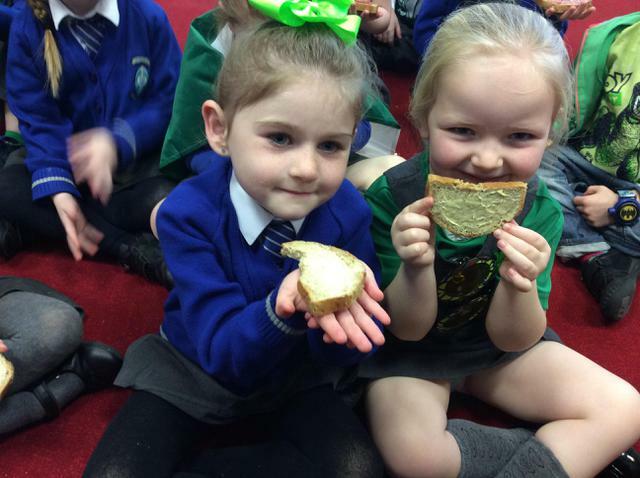 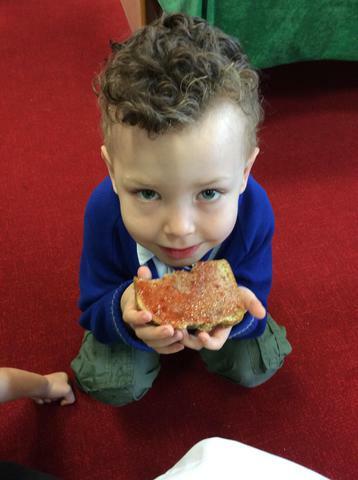 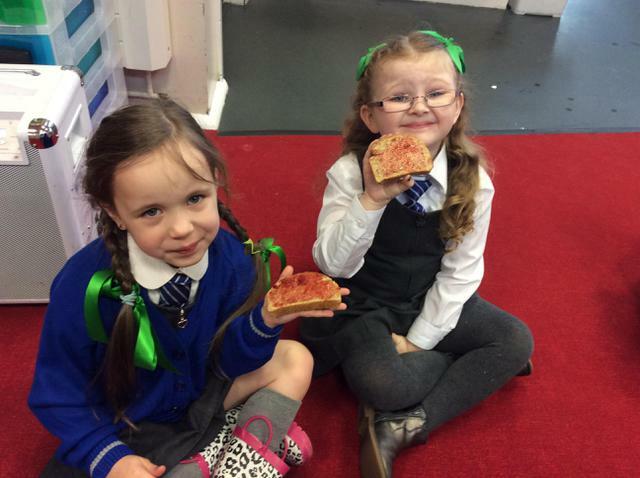 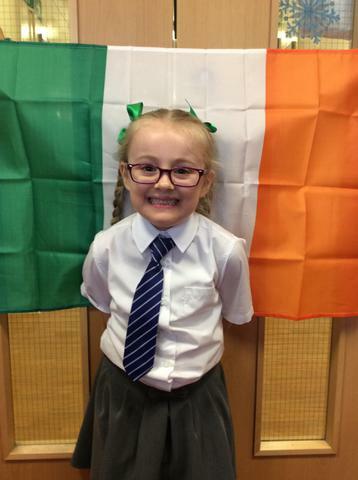 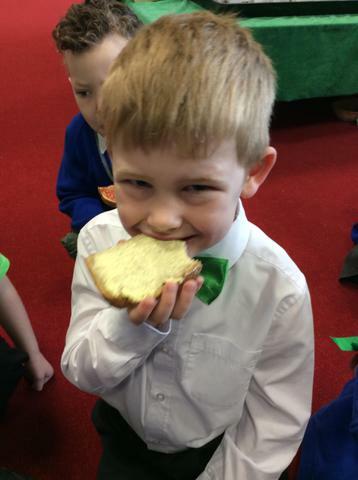 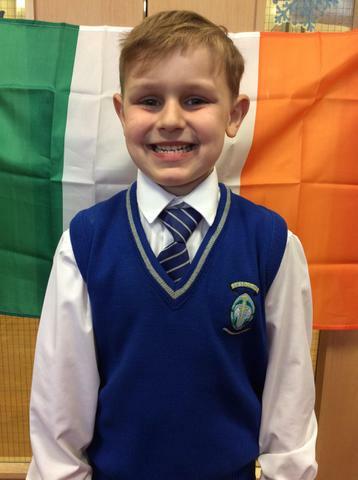 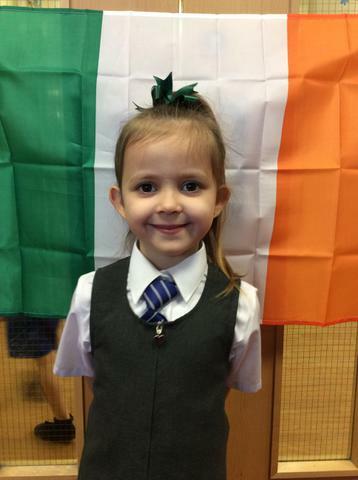 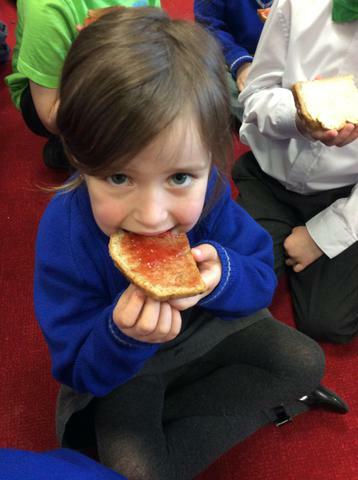 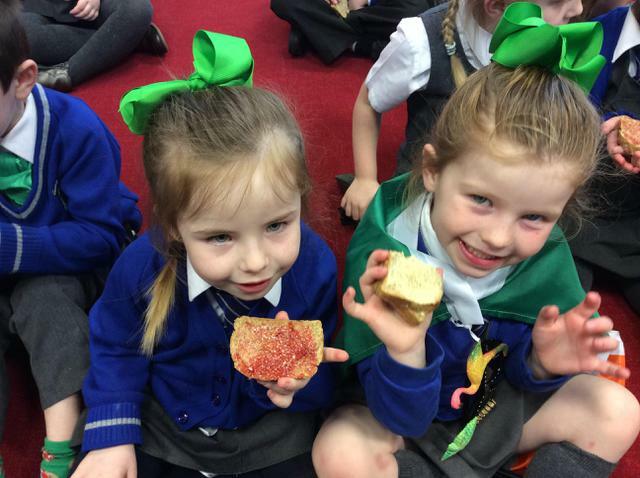 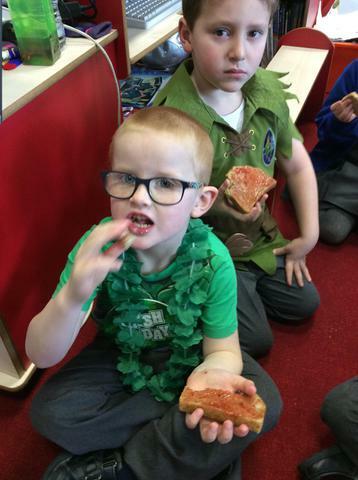 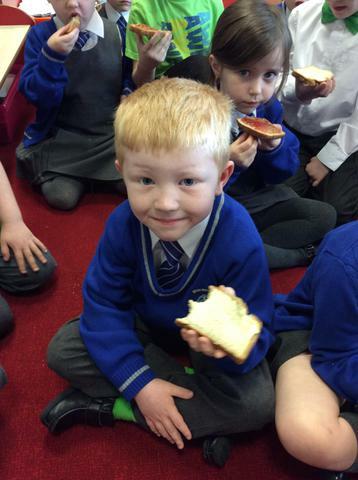 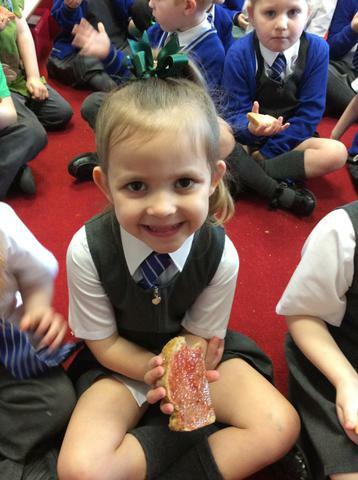 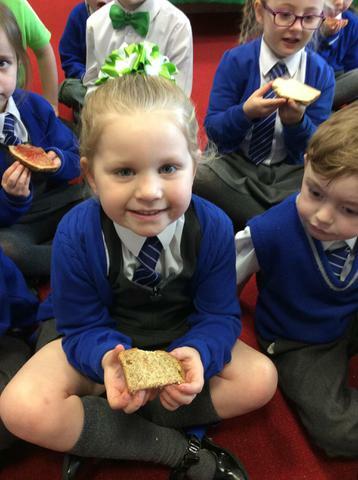 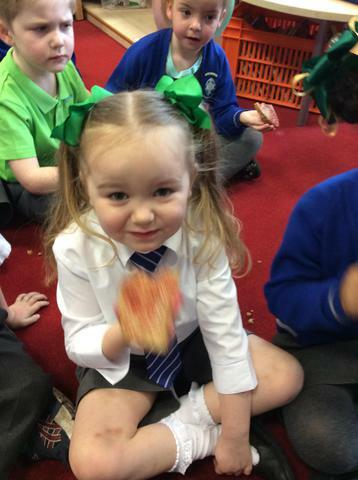 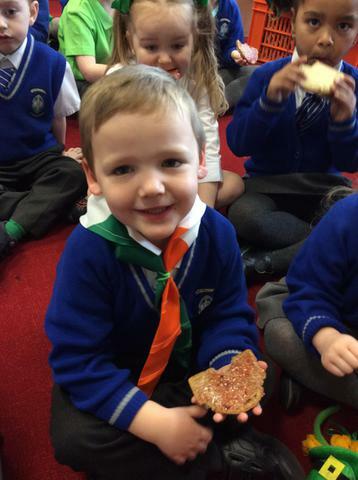 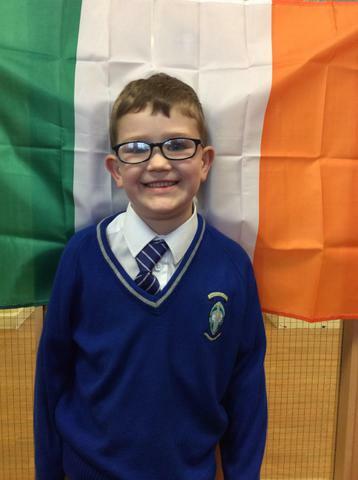 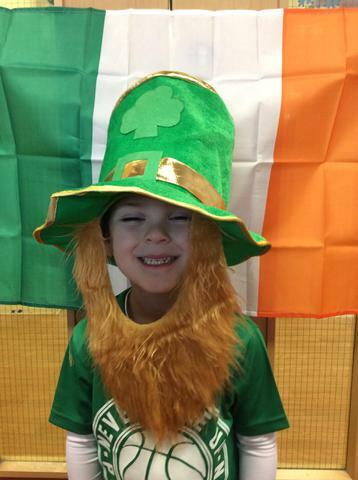 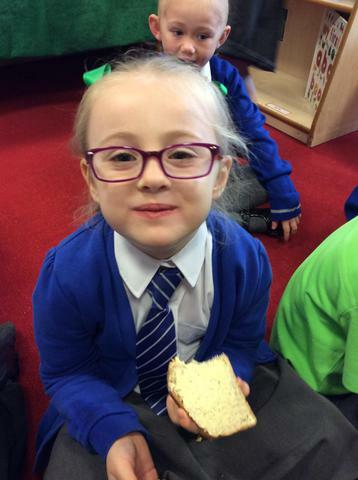 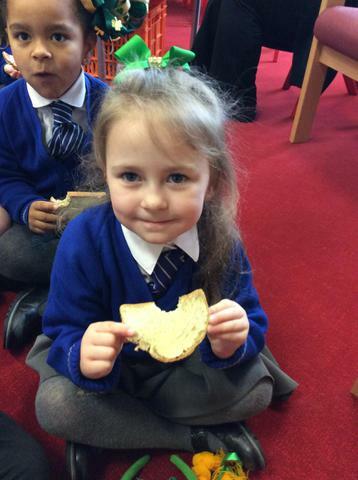 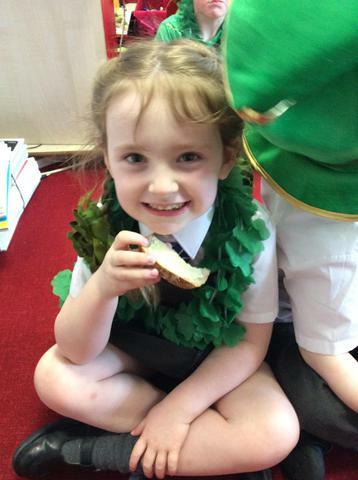 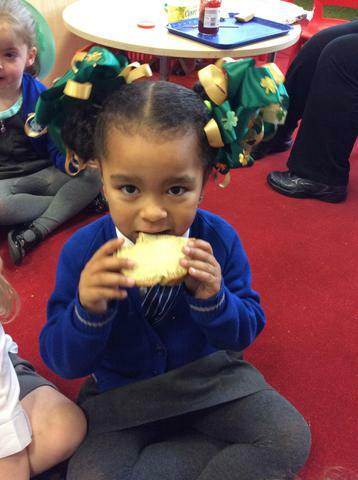 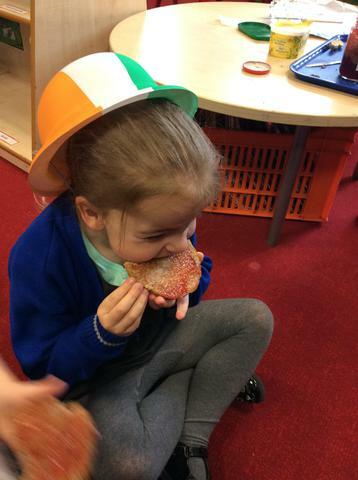 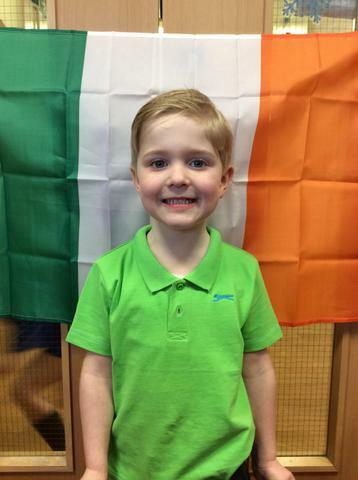 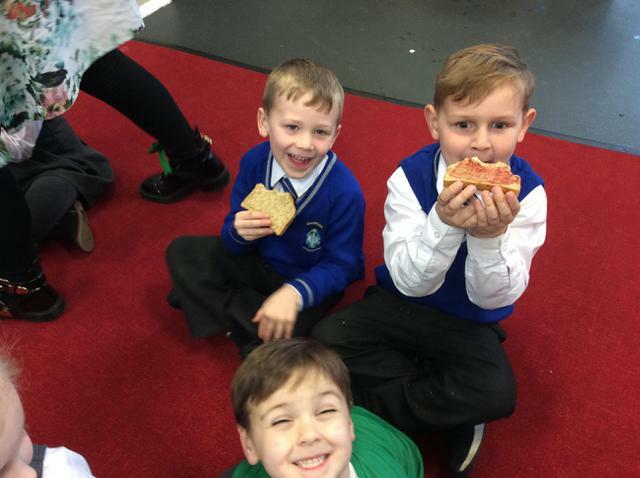 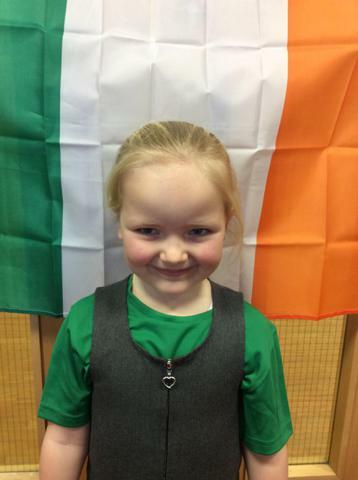 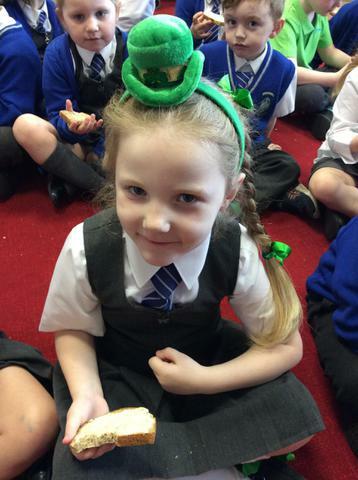 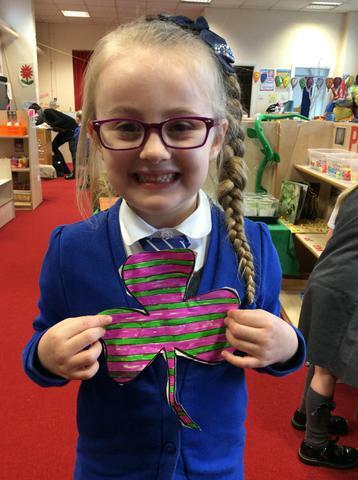 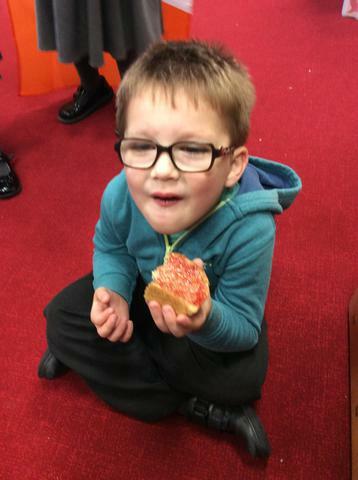 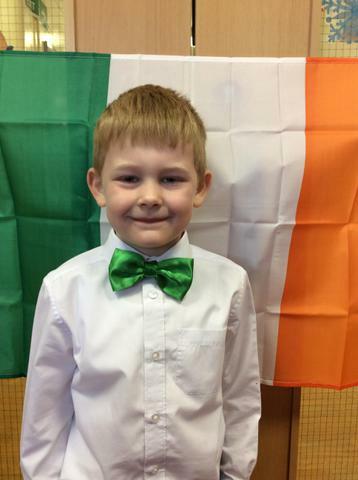 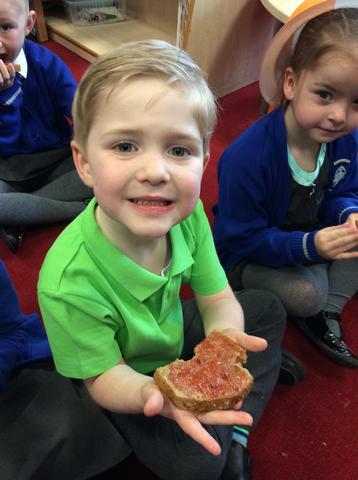 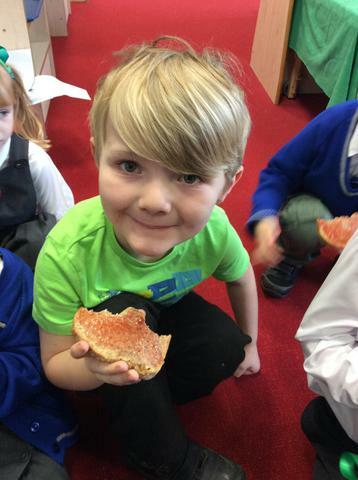 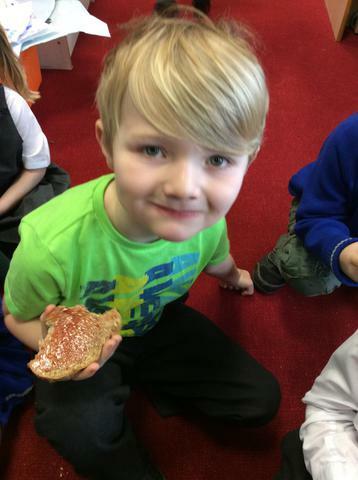 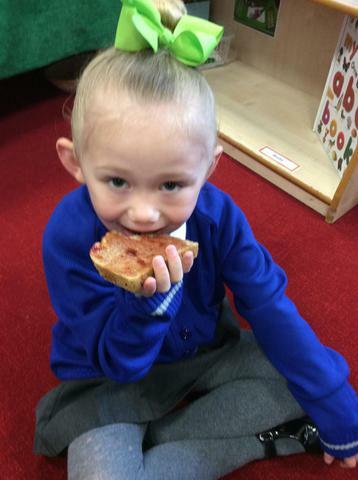 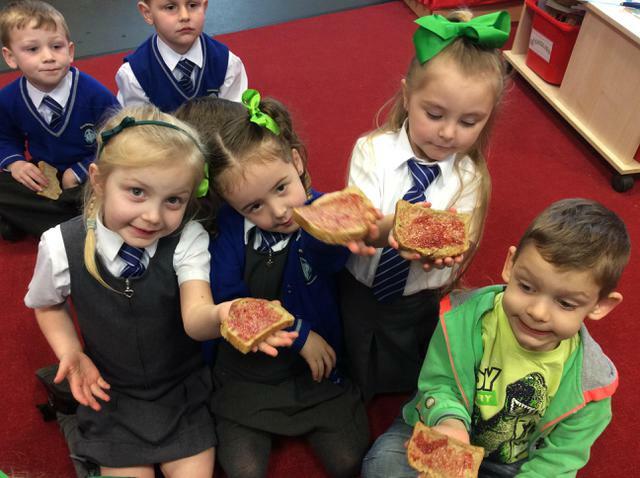 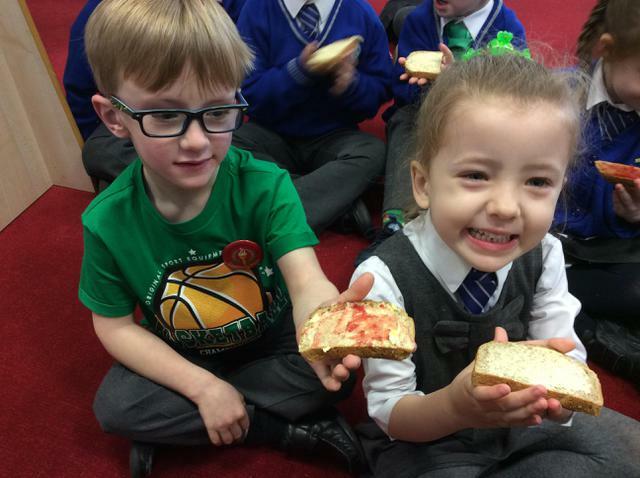 We learnt all about the tradition of St Patrick's Day, we tasted soda bread for snack, we listened to Irish music and we even watched some of our teachers demonstrate some Irish dancing. 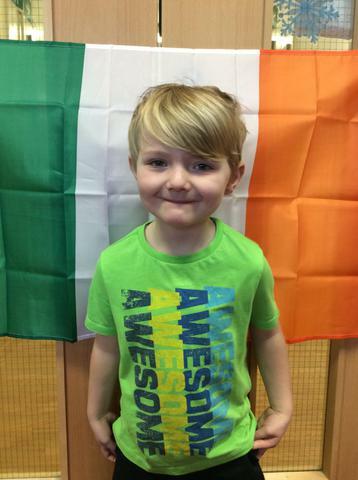 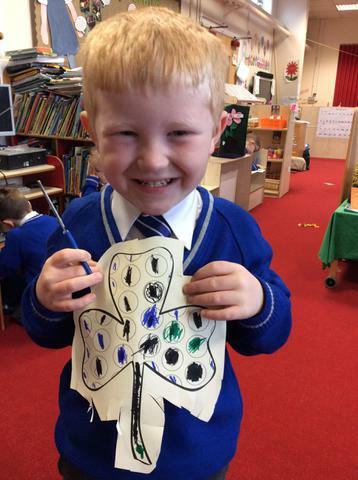 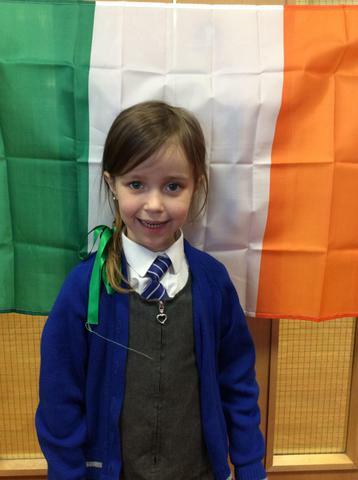 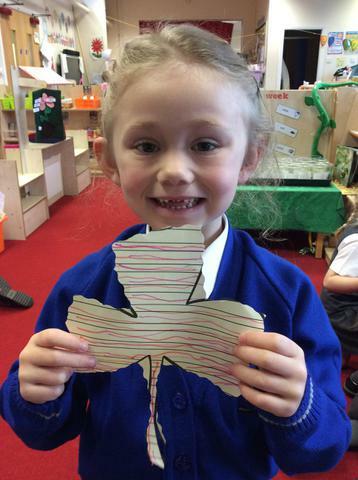 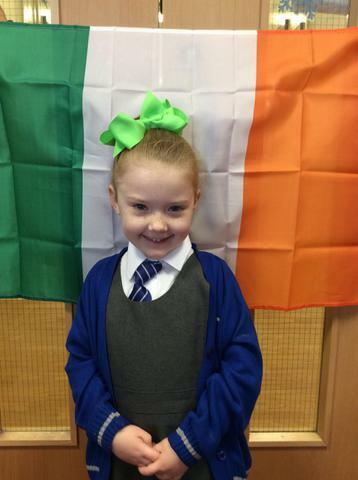 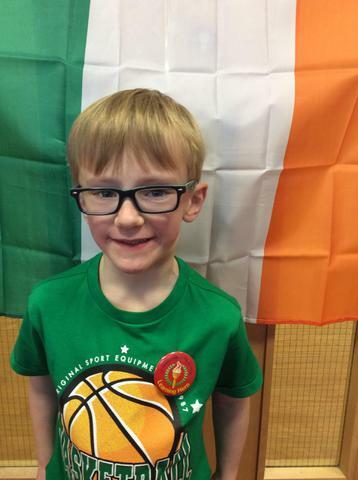 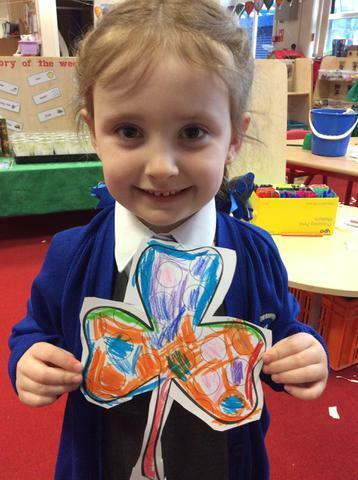 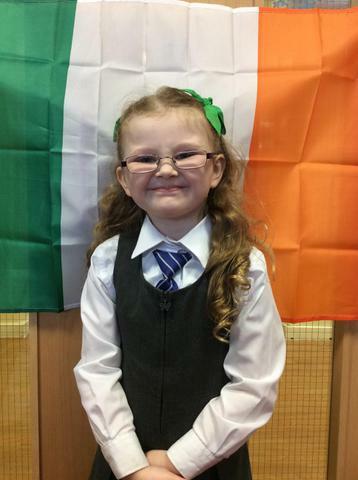 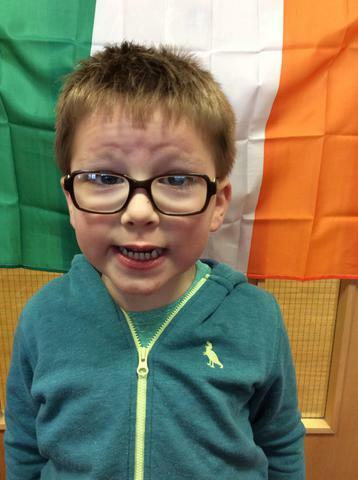 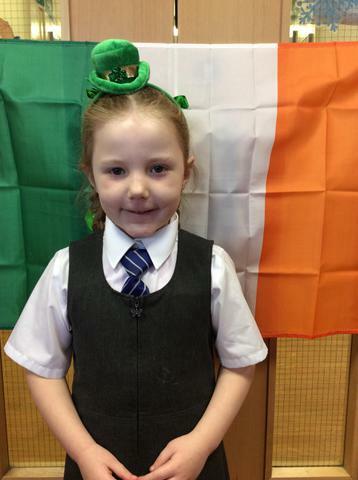 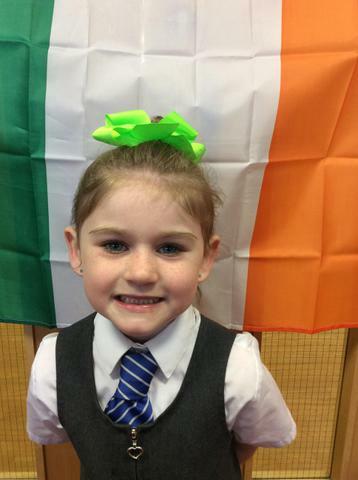 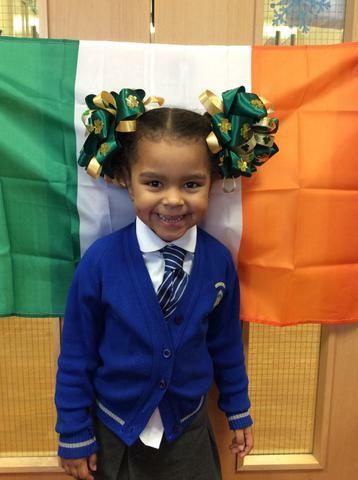 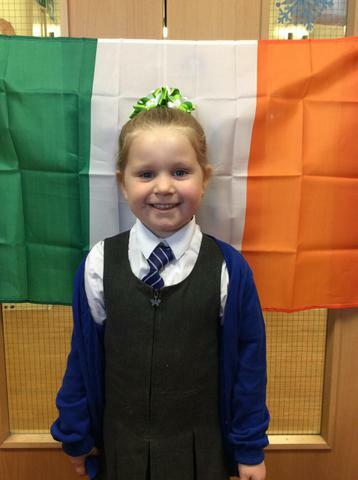 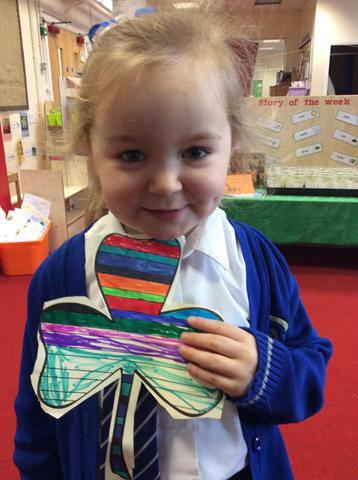 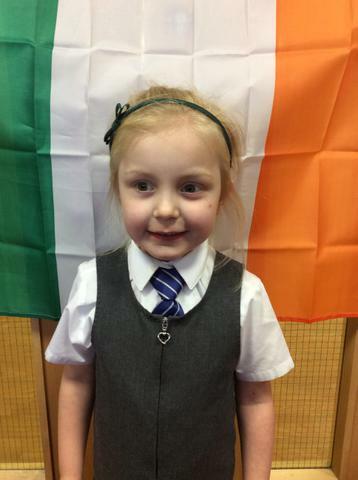 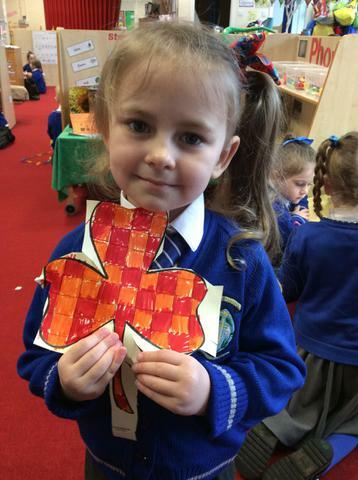 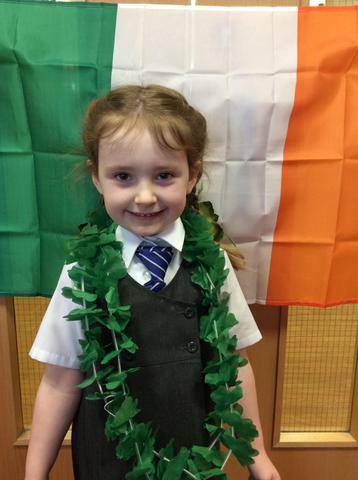 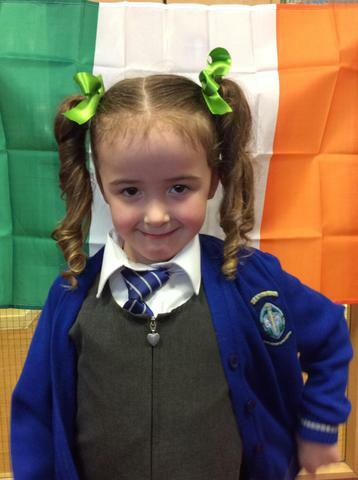 We decorated our own shamrocks and we looked at the Irish flag.